All employers are required to play by some simple rules of fairness – don’t discriminate, don’t harass, don’t slander, don’t defame, and don’t retaliate against employees for exercising their rights. Most employers do play by the rules and try to do the right thing. But when they don’t, the impact can be devastating, not only in terms of loss of livelihood but in loss of personal dignity. If you believe your employer hasn’t played by the rules or if you have questions about your rights as an employee, call the Plaintiffs Practice Group at 860.889.3321 to schedule a consultation. 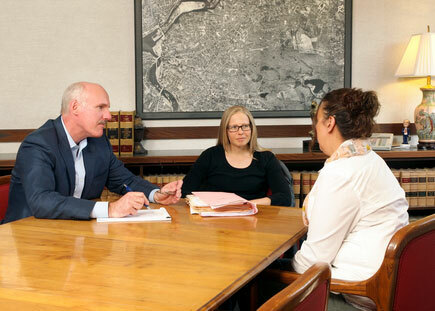 The initial consultation is free and if we take your case, you will pay nothing unless there is a recovery.